An annual report says workers’ compensation employer costs as a percentage of payroll declined in 2015. The report, Workers’ Compensation: Benefits, Coverage, and Costs, from the National Academy of Social Insurance, says benefits as a percentage of payroll fell for the fourth consecutive year. Employer costs per $100 of payroll declined to $1.32 in 2015, the fourth lowest level since 1980. Between 2011 and 2015, employer costs declined in 27 states. Benefits per $100 of payroll fell in 2015 to their lowest level since 1980. From 2011 to 2015, benefits fell in all but three states. “Part of the story behind the decline in benefits and costs as a share of payroll is that workplaces are getting safer,” said report co-author Marjorie Baldwin, a professor at Arizona State University. Baldwin noted that the proportion of workers who experienced injuries that resulted in days away from work reached a 25-year low in 2015. Total employer costs for workers’ comp reached $94.8 billion in 2015, a 20% increase since 2011. Wages covered by workers’ comp increased by nearly 19% during the same period. Due to growing medical costs, medical benefits accounted for more than 50% of workers’ comp benefits in 2015, up from 29% in 1980. Medical benefits paid to injured workers fell 2.3% in 2015. 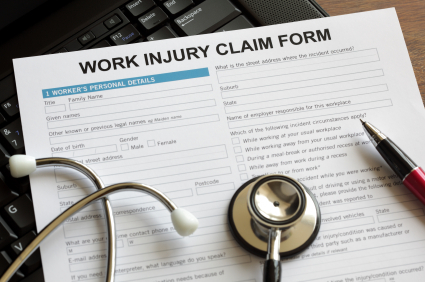 “The relative decline in medical benefits paid between 2013 and 2015 can be partially explained by some states changing their workers’ compensation medical care delivery systems,” said report lead author Christopher McLaren, a researcher at the National Academy of Social Insurance. Among the state changes: implementing fee schedules that set maximum reimbursement rates for medical care and new disability rating procedures and compensability requirements. The states with the biggest declines in benefits per $100 of payroll were Illinois, Oklahoma and West Virginia – three states that implemented significant changes in their workers compensation systems during the period. West Virginia, Montana and Oklahoma had the largest reductions in employer costs per $100 of covered payroll. Employer costs increased the most in Wyoming, Delaware and California.